Flagging off a major concern over microplastics finding their way into the annals of marine species such as manta rays, whale sharks and baleen whales, a new research claims that these species are ingesting these tiny particles of indigestible plastic while swallowing hundreds or even thousands of cubic metres of seawater every day. They are ingesting microplastics either directly from polluted water or indirectly through contaminated prey. This collaborative study, conducted by the Marine Megafauna Foundation, Murdoch University (Australia), University of Siena (Italy) and Hawaiʻi Institute of Marine Biology, found large pieces of plastics in the guts of such creatures. “We are still trying to understand the magnitude of the issue. It has become clear, though, that microplastic contamination has the potential to further reduce the population numbers of these species, many of which are long-lived and have few offspring throughout their lives,” says Elitza Germanov, a researcher at the Marine Megafauna Foundation and co-author of the study. According to the study, these species are exposed to toxic chemicals through the breakdown of microplastics in their digestive systems. “Exposure to these plastic-associated toxins pose a major threat to the health of these animals since it can alter the hormones,” says Maria Cristina Fossi, a professor at the University of Siena and co-author of the study. Microplastics, which block the ability of these huge marine species to absorb nutrients and create toxic side-effects, could produce “sub-lethal effects” which would endanger their health. 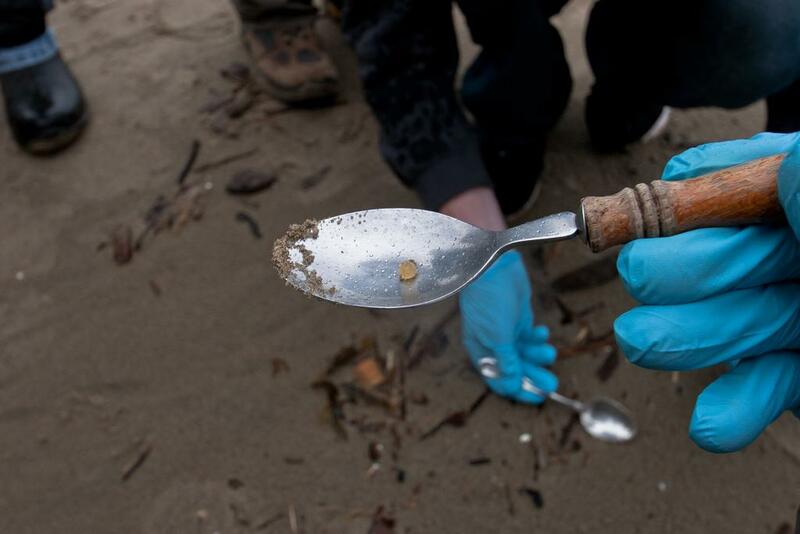 The fact that these species are consuming microplastics in their feeding grounds has become evident. Researchers reported an average of 0.7 plastic items per cubic metre of water around the Baja California peninsula, which is an important feeding ground for endangered whale sharks. While whale sharks may be ingesting 171 items on a daily basis, in the Mediterranean Sea, fin whales could be swallowing thousands of microplastic particles per day. “Exposure to these plastic-associated toxins poses a major threat to the health of these animals since it can alter the hormones that regulate body’s growth and development, metabolism, and reproductive functions, among other things,” adds Fossi. These giant species are at high risk of exposure since many inhabit some of the most polluted waters: Coral Triangle region, Bay of Bengal, Gulf of Mexico and Mediterranean Sea.